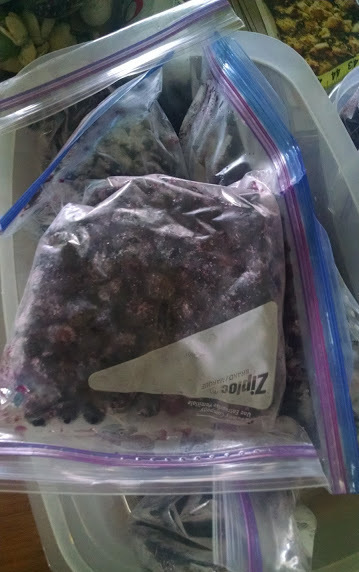 So what do you do when you have a ton of fruit like frozen strawberries, blackberries, and blueberries from last years bounty. 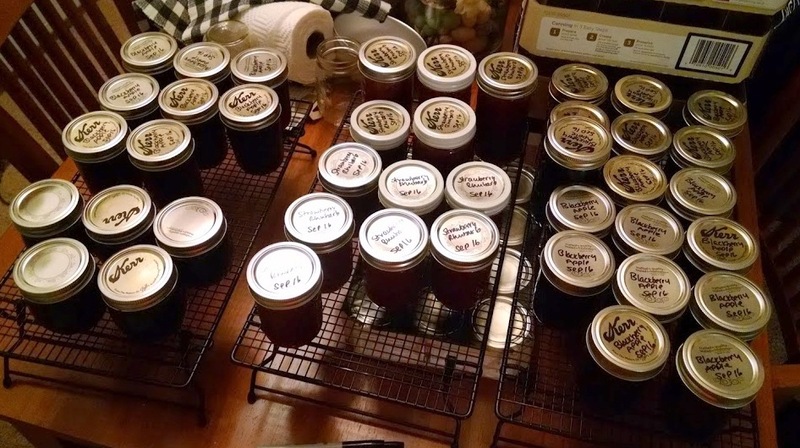 Fresh rhubarb, plums and apples? 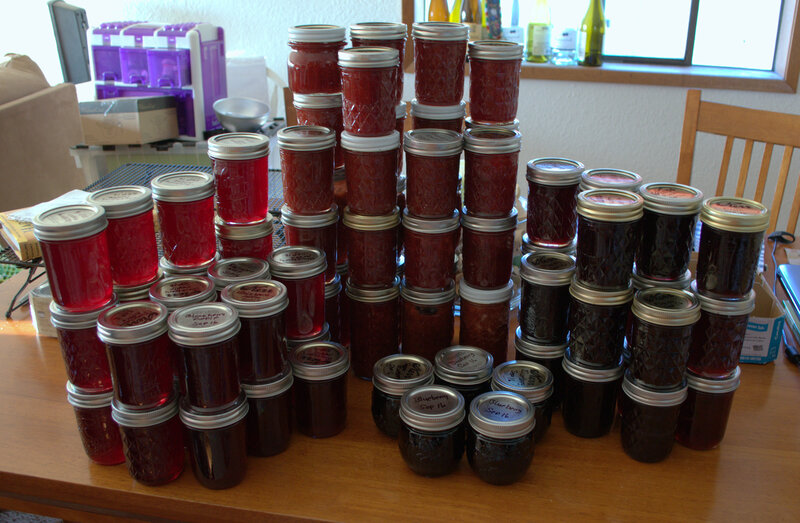 Why you make jam, lots and lots of jam! 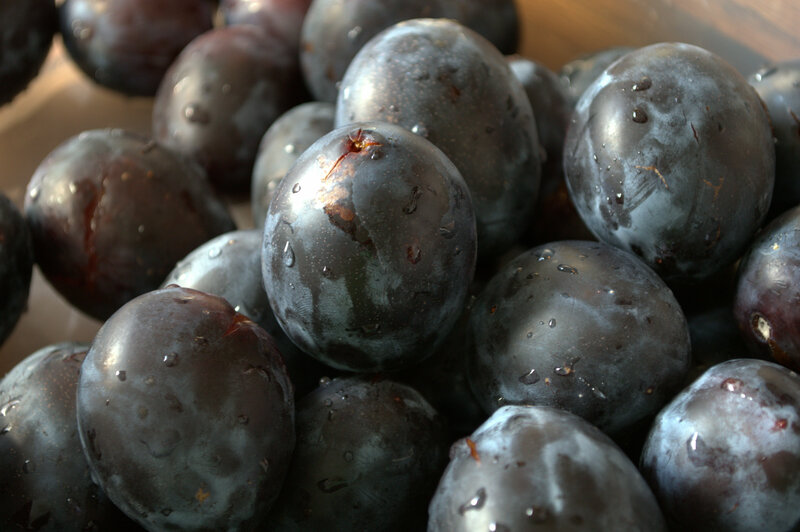 A co-worker of my daughter had a nice crop of plums so I made plum jam for the first time. I just used the recipe from the Sure-Jell website. Simple and easy. 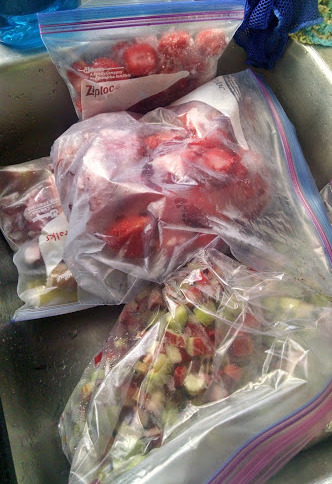 Day one I made three batches of strawberry rhubarb and three batches of plum. Day two a couple more batches of strawberry rhubarb, three batches blackberry apple and one batch of blueberry. 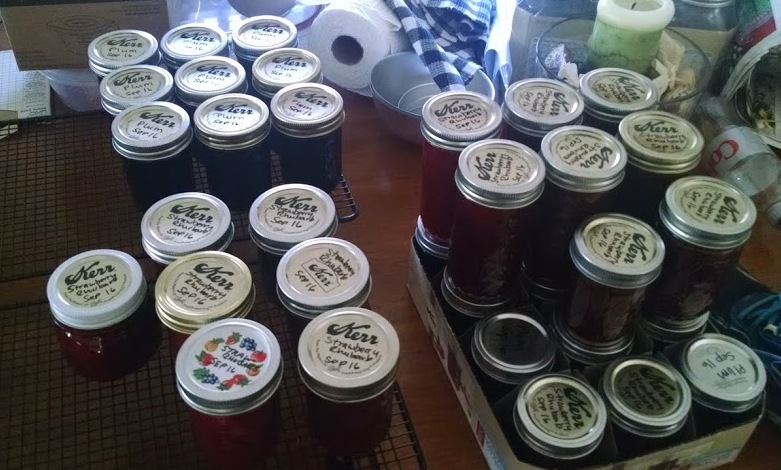 At the end of the weekend I had 78 jars of jam. I guess family and friends are going to be very happy this year.